Austria-based SBI Produktion has just released their new plasma arc M3DP metal printing system. The technology uses a wire-feed DED system using a plasma arc as opposed to a gas tungsten arc system. M3DP allows for the creation of intricate metal prints at high speeds while maintaining smooth surfaces and edges. Although it bears similarities to other DED and wire arc methods, it carries certain distinct advantages, such as the impressive 10 kg/h deposition rate. SBI Produktion has made the M3DP available in a range of sizes. Users can add several optional elements to suit specific needs upon request. This includes different configurations of the build volume as well as a number of in-situ quality options. However, it is worth noting that the M3DP already supports a very high build volume for its relative footprint. Another feature worth noting is the 3D scanner for quality assurance, which tests every layer against the original model. SBI Produktion also offers a gas tight cover as an enclosure, enabling the creation of an inert gas atmosphere. This especially comes in handy when dealing with process-sensitive materials such as titanium and nickel-based alloys. It can achieve atmospheres under 15ppm oxygen and 30ppm moisture. 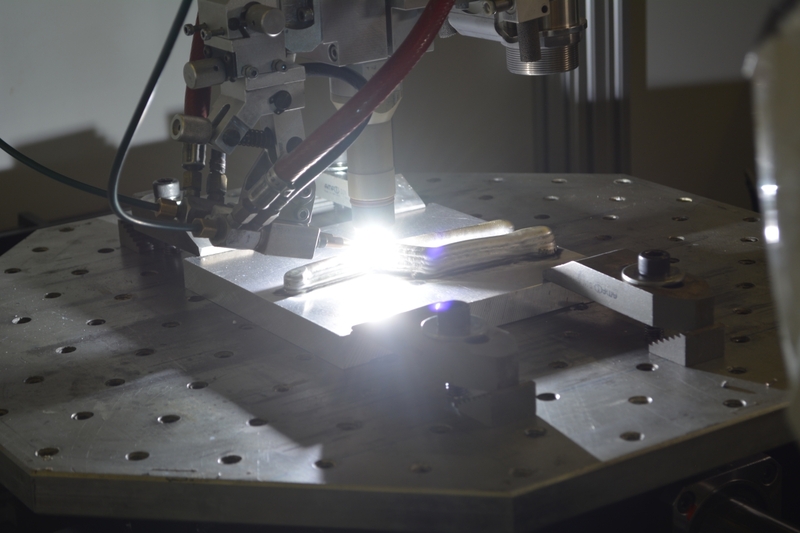 SBI Produktion has established itself as one of the main suppliers of its plasma core technology for additive manufacturing of aircraft parts since 2009. Over the years, the company has gathered an impressive set of clients, including Volkswagen, BMW, Audi and Siemens. The printer can process aluminium, titanium, mild steel, stainless steel, nickel-based alloys, and copper (among others). In fact, according to SBI, the printer can work with any material that can be fusion welded. The company states that it sees the technology as useful for “automotive, aerospace, shipbuilding, tool making, print to forge applications as well as service and maintenance“. These industries would be a natural fit considering its deposition rate, materials range and build volume. While the process still requires post-processing after the additive manufacturing portion, it can be cheaper still. Traditional methods, particularly subtractive ones, can waste a lot more material. This can really stack up the costs, especially when dealing with expensive metals like titanium. SBI Produktion’s process also makes the parts cheaper to post-process than one’s machined from a solid substrate. Featured image courtesy of SBI Produktion.